For a decade, hospitals and nursing homes found foam mattresses were a better choice than the now obsolete innerspring mattress. Customers also realize that dynamic air mattresses are still necessary for advanced stage wound treatment due to their conforming and pressure distribution advantages. Unfortunately, to make air reactive to patient movement requires expensive and complicated powered air systems. Hence, most customers routinely buy foam mattresses for prevention and then rent powered air systems for wound treatment. AME is proudly leading the charge to eventually make preventative foam mattresses next in obsolescence with our introduction of the LTC40 System. The LTC40 is AME’s most exciting development in the quest to build the world’s best mattress replacement system. 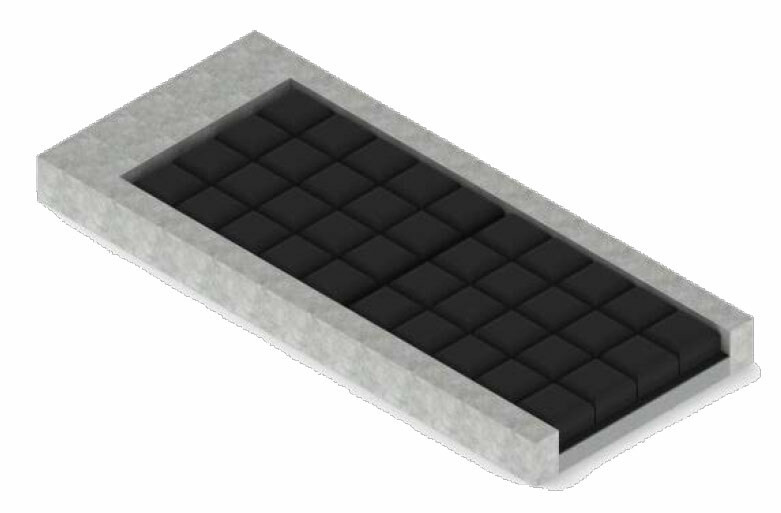 Uniquely, American Medical Equipment combines unparalleled (ROHO technology air cells) in a full thickness, non-powered and foam‐free mattress system. Although, the LTC40 is an advanced treatment system and eliminates the majority of rental costs; the LTC40 is available to customers at a price comparable with prevention foam mattresses. Helps heal advanced stage (III & IV) ischemic ulcers. Friction and shear relief surface. Adjustable. 3.5" (8 cm) high air cells can be adjusted to the patient's body shape and size. Non-powered. Requires no external power source. Drainage holes pull fluids away from incontinent client. Durable neoprene rubber is flame-resistant and can be easily cleaned. Repairable. Extends overall life of mattress.